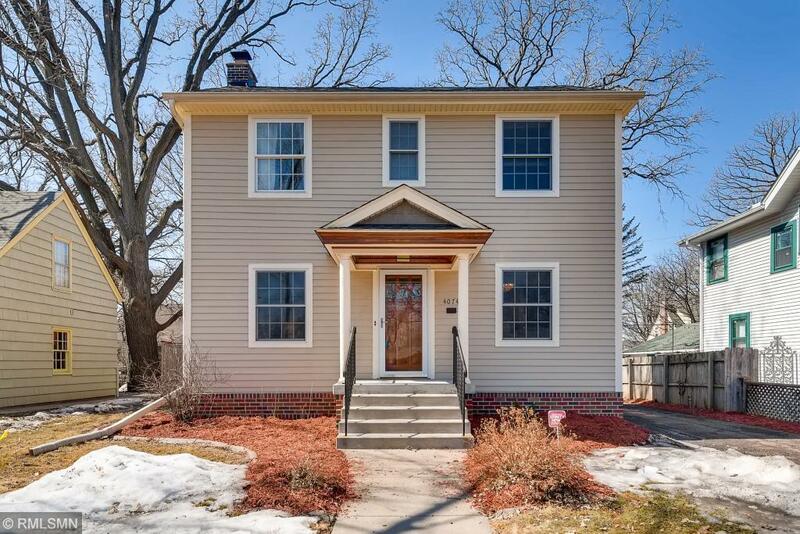 Must see gem in St. Louis Park! This gorgeous two story home has plenty of 1920’s charm with modern flair. Features include a brand new open-concept kitchen with a huge island, custom blue Italian gas range, copper range hood, farmhouse sink, white laminate cabinets, and built-in breakfast bar. Other amenities include a fireplace, wood floors throughout, a huge wrap-around deck, fenced-in yard, beautiful light fixtures, and spacious 2 car heated garage. The lower level has also been updated with a huge bathroom and built-in speakers that is perfect for movie nights! Great location that is close to restaurants, the Greenway bike trail, and a 10 minute drive to Uptown, Downtown, and the lakes! Don’t let this one slip away - you won’t find many houses like this one in this area!